Every now and then I like to take time to recognize fathers and provide something enriching. My last entry was about an amazing book for dads with daughters, Oh Boy! You’re Having a Girl! by Brian A. Klems. This time I have a great movie recommendation for anyone who has had a father or father figure in their lives, or anyone who is a father. 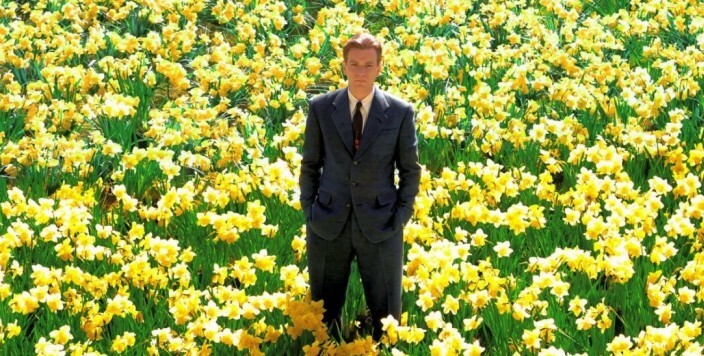 The film “Big Fish” by Tim Burton is nothing short of a masterpiece about fatherhood. Coupled with Danny Elfman’s soft, loving score, you are guaranteed to shed a tear. If you’re not familiar with the story, it is about a middle aged man returning to his hometown because his father is gravely ill. Father and son have not spoken in many years because the son got tired of his father’s constant tall tales and feels like he never gets the truth from his dad. He comes back to say his goodbyes and, in the process, learns more about his father than he ever knew, including that all of his tall tales were based on actual events that happened to his father. I won’t spoil the ending, but if you have a father you will call him immediately after the film, and if yours is no longer around you will cry yourself to sleep. Take some time for yourself and connect with who you want to be as a father. It is a very rare thing here in America for men to get introspective about who we are. We’re told to do certain things and be some sort of caricature of fatherhood. View yourself from your kid’s eyes and build yourself the way you wish to be seen. Be yourself and show your kids that it is okay to have fun, have faults, make mistakes, win, lose, laugh and, most importantly, cry. Go watch “Big Fish”, evaluate yourself as a father, and rejoice in being a father.